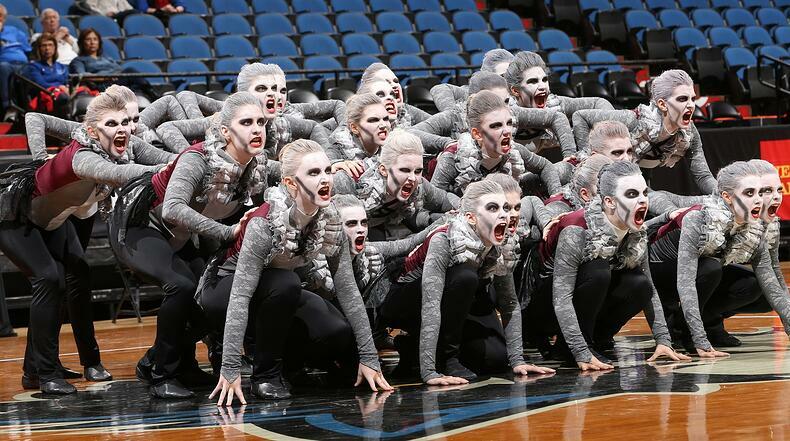 The makeup and hair completely transformed this Victorian Gothic themed high kick costume from Frazee High School! It's hard not to get in the Halloween spirit when you work at a custom costume company! And if you're anything like us, your closet is probably stuffed full of old dance or skating costumes just begging to see some light. Which makes dressing up for Halloween super easy and fun. Sometimes all it takes is a wig and a little makeup to transform a look! In honor of Halloween, here are 30 dance costumes and skate dresses with a dark theme that could easily be repurposed as festive Halloween looks! From girly to creepy, there's bound to be something here to get your Halloween costume ideas going! The leaves are starting to turn, the morning is filled with crisp, cold air, and please add pumpkin flavor to EVERYTHING. For some people it just means that summer has come and gone, but for us and our customers it means GAME DAY (and autumn of course)! Football season is now underway for high schools and colleges, and seeing all of the gameday looks gives us all of the fuzzy fall feelings, so we decided to share some of our favorites we've seen around social! 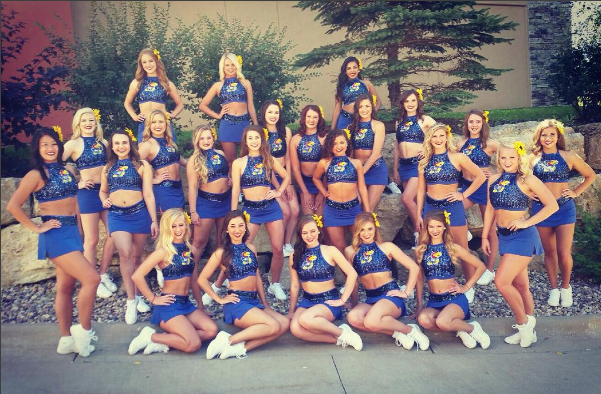 Check out some of the best custom cheer uniforms from the high school and college dance teams this 2016 football season! Looking fabulous ladies (and men), as usual! Memorial Day is a very special day for our country. On this day, we honor all of the brave men and women who serve year after year. Here at The Line Up, our customers and designers have put together some amazing costumes to represent those hard-working men and women. Here are some of our favorite current and past patiorotic and military theme costume! At a company where sparkle is an everyday occurrence, it’s hard for us not to get excited about the Holidays. Finally, a time of year where sequined and rhinestoned outfits are embraced by the masses! We especially love seeing the special touches teams add to their holiday wear. Whether it's a Santa Claus dress, a Frozen theme, or dazzling white and gold New Years inspiration, the possibilities are endless! Here are 16 of our favorite holiday inspired costumes and uniforms, plus a few of our favorite ways to incorporate a little Holiday spirit into your own look! It's officially here: competition season! 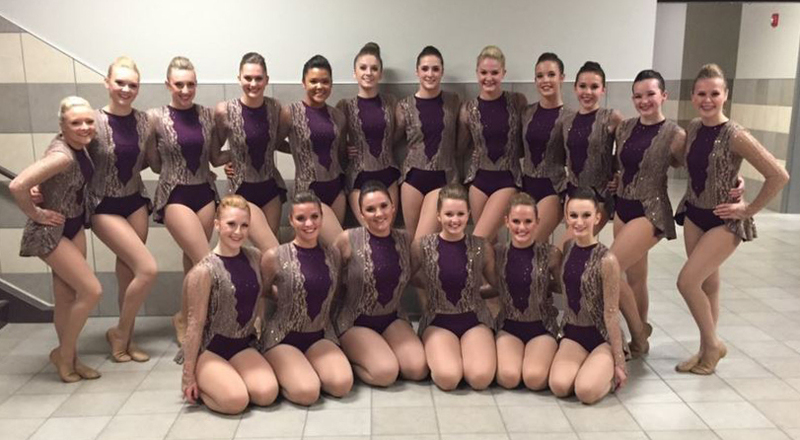 High school dance teams have kicked off their competitions, putting in hours of sweaty, tough practices to make their routines as flawless as possible. With many dancers among our Line Up team, we know that all those hours - which lead to a only a few short minutes on the floor - are worth it for that feeling of pride and accomplishment after a performance! This time of year is our favorite because after weeks of planning and production work we finally get to see all of your fabulous custom costumes come to life! It's amazing how much choreography and those finishing touches like accessories, rhinestones, and makeup can completely transform a design! 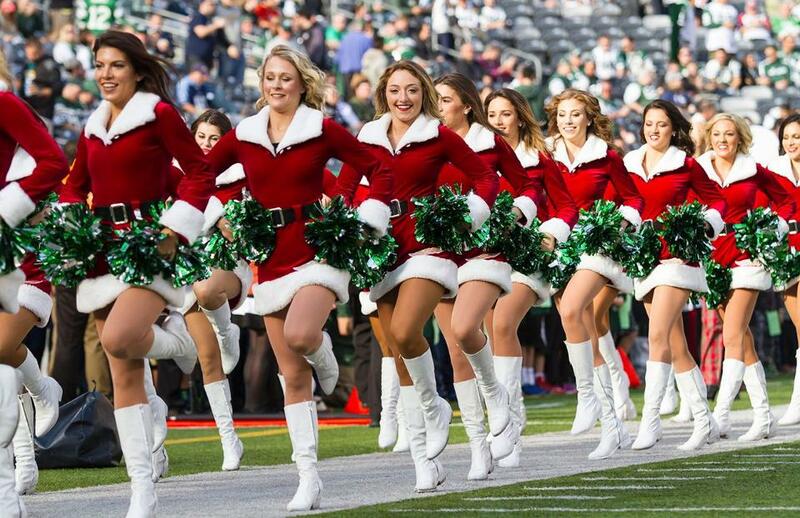 During the month of November, you may have noticed that the NFL Cheerleaders were rockin' some extra special uniforms on the sidelines, celebrating military appreciation through their Salute to Service campaign. We were honored to outfit the ladies on the sidelines and help create their special look for the month. Check out our beautiful NFL customers in their military garb! The lakes haven’t started freezing yet here in Minnesota, but the dropping temps and the start of NHL season last month has us craving a little ice time! We just finished wrapping up quite a few projects for some semi-pro and pro hockey ice crews and dance teams: The Chicago Blackhawks, The Washington Capitals Red Rockers, and longstanding customers The Colorado Avalanche Ice Girls, among many others. Looking for a little design inspiration? Watch for these new uniforms on the ice this season!